In a Vine video published early this winter, a French transplant to New York named Jerome Jarre approached a baby squirrel sitting on a park bench and began squeaking, apparently trying to communicate with the rodent. The squirrel, sensing Mr. Jarre, perked its head up and then lunged straight at him, slamming directly into his phone's camera. The frame goes haywire after that. With a short burst of chaos with an unexpected twist, Mr. Jarre's video is typical of a brand new form of humor emerging on a Vine, a rising social video platform owned by Twitter. Constrained by a six second time limit, Vine comedy is quick, irreverent and often very funny. It bares little resemblance to standup -- imagine trying to fit a joke into six seconds -- and is nothing like longer web comedy videos. It can also go viral in a hurry: Mr. Jarre's video was liked over 344,000 times and "revined" more than 213,000. But Vine's unique humor can also present challenges for brands trying to make a mark there. Humor is Vine's dominant category, so brands looking to reach consumers on the platform need to tap into it to have an impact. But it's so different, they're still figuring out how to use it effectively. "Traditional media and marketing simply does not translate on Vine," said Rob Fishman, CEO of Niche, a platform for social media creators and brands looking to connect with them. "This is a new medium, with new players." Mr. Fishman's company, and others like it, are emerging because brands looking to reach Vine's growing audience need help. Instead of trying to master the medium themselves or through their traditional agencies, many are turning to Vine stars, mostly those posting humorous videos, as vessels through which they can get their message across to Vine's millions of users. Among them are a set of superstars within Vine who are little known outside its walls, such as Brittany Furlan, Nash Grier, Kc James and Marcus Johns. Mr. Jarre, who is CEO of Vine talent agency Grape Story, said grasping and producing Vine's unique version of comedy is critical for marketers using the platform: "Even though it might look super clean and it might feel really safe for brands to work with stop motion people, if you want a lot of interaction and engagement, you have to go to comedy today." Like a lot of Vine stars, Mr. Jarre said his humor is pretty Vine-specific: "I'm only funny on Vine," he said. "I'm very boring when I'm running my company." Gary Vaynerchuk, who started Grape Story with Mr. Jarre, was straightforward when asked if he believed a new form of humor was emerging on the platform: "There is not a logical observant human being that would not believe that to be true if they spent more than one hour on Vine," he said. "It's more raw, it's more real, there's an authenticity to Vine that speaks much more to what's actually going on with millennial and teens than anywhere else I see," Mr. Vaynerchuk said. One of those raw and authentic comedians is Nicholas Megalis. A self described "24 year old Greek kid" from Cleveland, Mr. Megalis is followed by 3.7 million people on Vine who have gravitated towards him due to his steady stream of irreverent videos. One, a six second song called "Gummy Money" which featured gummy worms oozing out of his wallet, racked up a staggering 2.3 million likes, 671,500 revines and 197,400 comments. "I see Vine as being an insane, incessant, pile of madness and that's what I like about it." said Mr. Megalis. "We're forced to invent something differently because of the limitations, " he said. Mr. Megalis, who has created over ten Vine videos for brands including Trident,General Mills, Ford and Virgin Mobile, had some advice for brands looking to resonate there: "Understand that people don't have to buy your stuff. They don't have to click like on your video. They don't have to share it. Why expect them to? Unless you create something incredible and something fun and something real and just respect the intelligence of the people who support you, that's the bottom line." Vine can also be challenging for marketers who feel the need to both offer something funny and get brand message across in under six seconds. The key is not to try to do it all at once, said Mike Mikho, VP growth and development at marketing agency Momentum Worldwide. 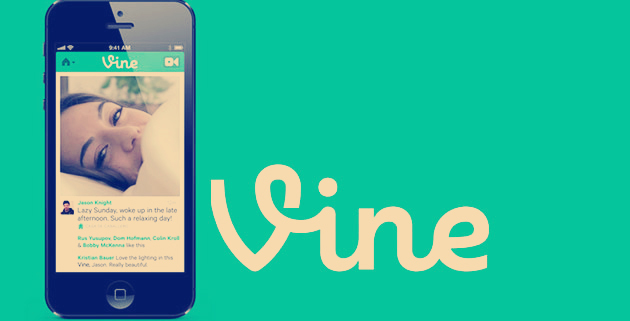 "Can a brand accomplish its goal with a six second Vine? Absolutely. It doesn't have to exist in just one video," he said. "It is a valuable weapon for you to continually disseminate content throughout the year." And while Vine videos are constrained by the six second time limit, they also loop, which Mr. Vaynerchuk said could be a tremendous asset. Vine videos, he explained, are watched over and over, something that almost never happens with the standard 30 second spot. "That becomes a whole fascinating psychology, brand reinforcement debate," he said. "To me the repetition and the punchline have a lot of value. Getting it across six to ten times in a session versus once, becomes a very interesting debate of a value proposition." But to get that payoff, brands must use Vine in a way that meshes with its unique spirit. "Advertising doesn't belong to the companies as much anymore" said Mr. Megalis. "It's a conversation."